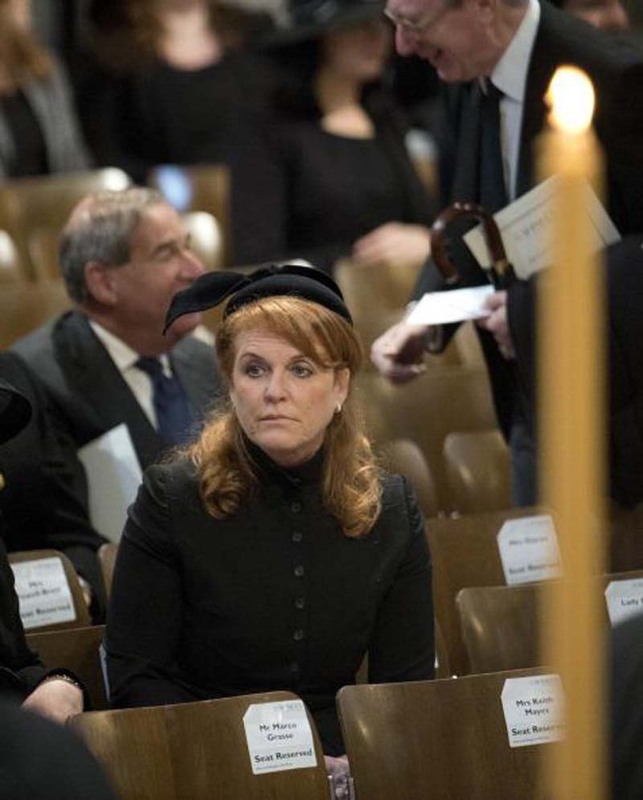 Prince Philip and Princess Anne reportedly didn't like Sarah Ferguson for Prince Andrew. Even before the Duke and Duchess of York's marriage ended in divorce, Ferguson already had a rocky relationship with the Duke of Edinburgh and the Princess Royal. Ferguson has reportedly been afraid of Prince Philip from the start. "The person she was most afraid of in the Royal Family was Prince Philip," Allan Starkie said in an unearthed clip of "Fergie: Downfall of the Duchess" via (Daily Express). "Earlier on in the marriage, he had told her 'now you're a member of the firm you can do anything you want, but you'll always be found out." One time Ferguson reportedly walked into a room to have dinner with the Queen and Prince Philip. She greeted each servant using their first name and when she sat down, the duke turned to her and said: "I thought you give up flirting with the servants ago?" Princess Anne also called Ferguson an "outsider" during a family lunch, which resulted in a furious row between her and Prince Andrew. The Duke of York demanded that Princess Anne apologize to his wife. The royal did, but since then, there was a "very, very frosty relationship between Fergie and Anne." Meanwhile, Judy Wade, a writer and royal journalist, felt that Ferguson only married Prince Andrew as a rebound following her failed romance with Paddy McNally, who was 27 years her senior. According to Wade, McNally had no plans to tie the knot with Ferguson. "Probably she did marry Andrew on a rebound when Paddy McNally made it clear he wasn’t going to marry her," Wade said in the documentary. "She falls in love easily and she always had a yen for that glamourise royal world Diana had entered. And I think it was a lot of factors, not just Paddy McNally, that influenced her." Prince Andrew and Ferguson remain good friends after their split. In fact, they still spend time together. Ferguson joined Prince Andrew and Princess Beatrice when they visited Queen Elizabeth II in Scotland this summer. However, the Duchess of York reportedly left the Balmoral estate before Prince Philip arrived to visit his wife. The Duke of Edinburgh has reportedly not forgiven her yet following her toegate scandal. In fact, many are concerned that their rift would cause a family friction at Princess Eugenie's royal wedding in October.